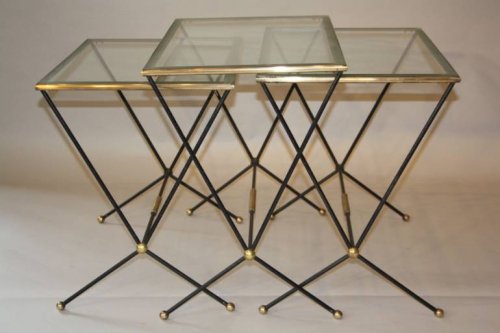 An elegant French 1950`s designed nest of tables - black and gold metal detailed frame with frosted glass border tops. Original condition. Great size and proportions.